Arugam Bay is a bay situated on the Indian Ocean in the dry zone of Sri Lanka's southeast coast. The bay is located 320 km due east of Colombo. "Ullai" as Arugam Bay is locally known is a popular surfing and tourist destination. The bay hosts a large fleet of fishing boats which operates off the beach. Many organizations donated boats after the tsunami and as a result there are far more fishing boats than ever before. The main beach is a bit dirty as it is used as a garbage dump and a toilet by some locals. 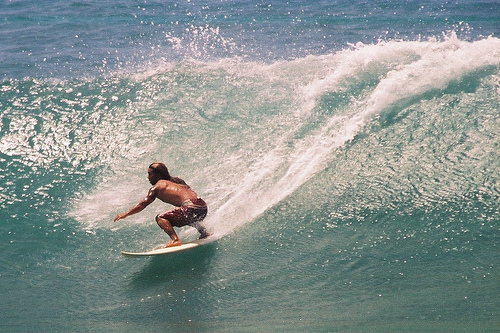 Nearby beaches are more esthetically pleasing and also have excellent waves. Arugam Surf Point has a very long, consistent, section right hand break.